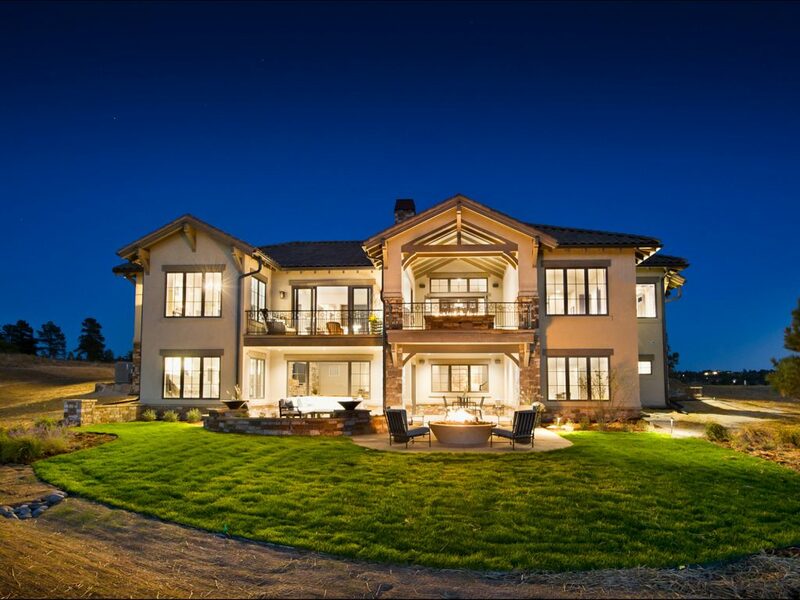 Mimi Sturtevant of LIV Sotheby’s International Realty (LIV SIR) presents three fantastic real estate opportunities in the highly acclaimed Colorado Golf Club (CGC) that are among the best in town for luxury buyers. The gated community – located southeast of downtown Denver in charming Parker – offers 100-mile views from Longs Peak to Pikes Peak, 1,700-acres of rolling hillside and trails, plus world-class golf, a club house, a 9-acre lake and more, making CGC an attractive option for buyers seeking comfortable luxury living surrounded by nature, yet minutes from vibrant city life. Betts Lake ranch-styles are selling quickly as many buyers seek smaller, more efficient living with a coveted lock-and-leave lifestyle near the lake. Additionally, CGC’s custom home sites present a welcomed alternative to metro-Denver’s tight luxury market, allowing buyers the freedom to choose from a range of options and architectural styles to suit their lifestyle, whether it’s a secluded estate, golf course property or lakeside retreat. Amenities include a vast social life within the dramatic, 44,000-square-foot private golf club that features richly finished woods, natural stone, and spectacular views of the Front Range. Residents can entertain friends and family indoors and on the patio for both casual and fine dining from CGC’s award-wining executive chef, or host meetings and events in the gracious board room and banquet facilities. A fitness center and resort-style pool complex come equally appointed. Sturtevant will be at the new Colorado Golf Club sales center and model home located at 8776 Eagle Moon Way this Sunday, May 20th from 11:00 a.m. to 5:00 p.m. “The craftsmanship and attention to detail are unrivaled. Come see me and experience it for yourself this weekend!” adds Sturtevant. For more information contact LIV Sotheby’s International Realty broker Mimi Sturtevant at 720-217-4393. To list your home for sale with LIV Sotheby’s International Realty, please visit www.livsothebysrealty.com or call 303-893-3200.